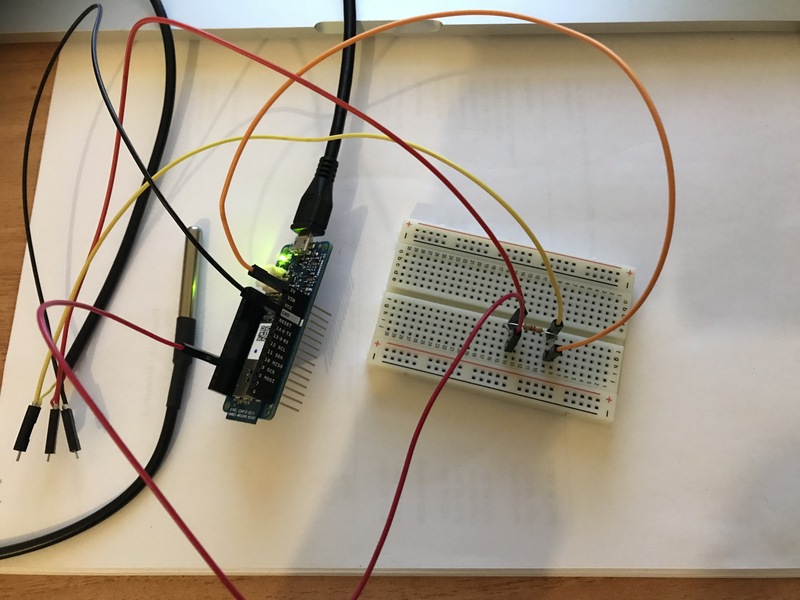 I am new to Arduino and electronics in general and I can't get my MKR1000 to read correct data from a DS18B20 temperature sensor. The issue is: I always get the same readings from the sensor: -127.00. I should mention I have tried 2 different sensors and get the same readings. From the sensor, GND goes directly to GND on the board, and I have the 4.7kΩ resistor in between the data and power wires. According to the sensor manufacturer, output leads: Yellow (VCC), Red (DATA), Black (GND). Data line is connected to the pin ~2 on the MKR1000. Looks like you have it wired wrong. 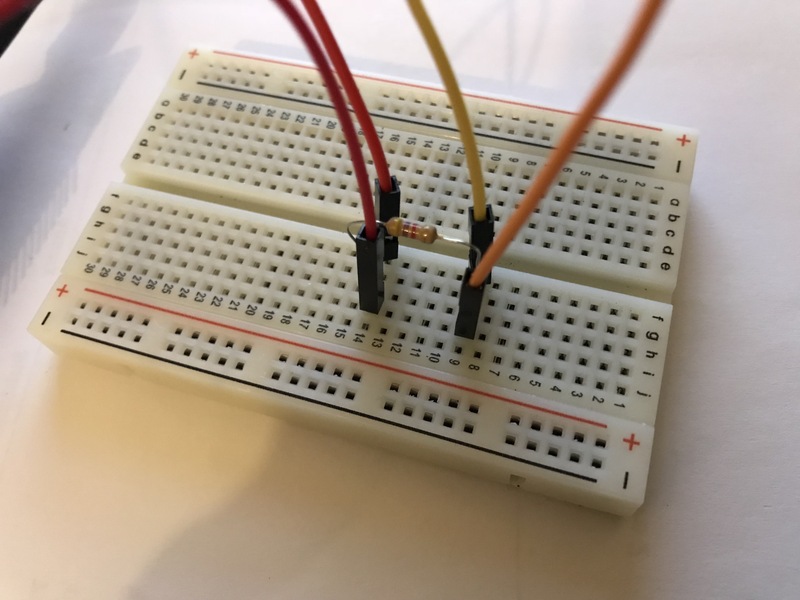 A schematic would really help but it looks like you've got 5V going directly into the sensors data line (yellow wire) it's connected on your breadboard to the orange wire +5V. The power wire of your temperature sensor (red wire) is running through a 4.7K resistor which is not likely what you wanted here either. Not the answer you're looking for? 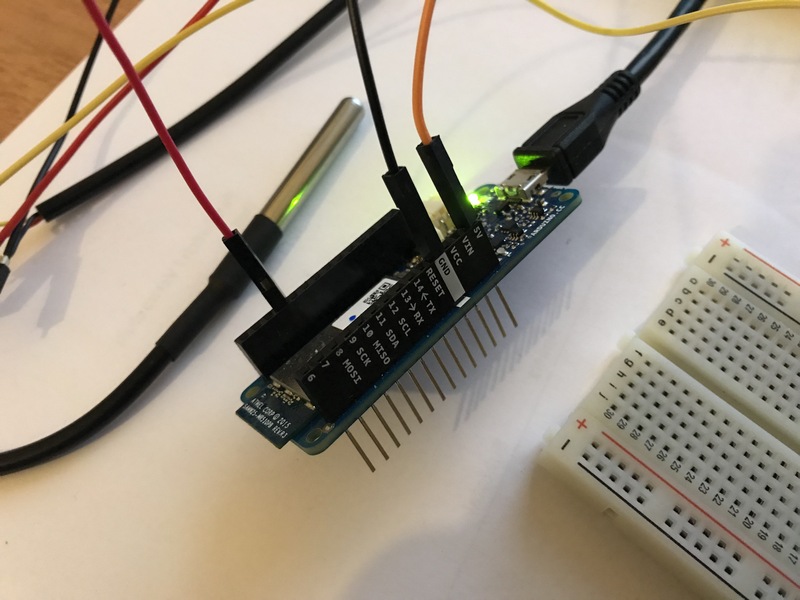 Browse other questions tagged temperature-sensor mkr1000 ds18b20 or ask your own question.